Pinterest, among a gaggle of tech companies planning to go public this year, hopes to raise as much as $1.5 billion in its initial offering of shares. The digital scrapbooking site said in a regulatory filing Monday that it will put about 75 million shares up for sale at a price between $15 and $17 each. That, at the higher end, could put the value of the company at around $9 billion, below the estimated $12 billion value from earlier sales of shares to investors, according to reports two years ago. Already, IPOs from tech companies have dominated headlines this year. The arrival of Lyft late last month did little to diffuse questions about how best to value tech companies with tons of potential, but not much in the way of profits, at least not yet. While Lyft has bounced back from a sell-off that dropped its shares well below its initial offering price, they remain below the heights reached in the flurry of first-day trading. Uber, Lyft's rival, the messaging app Slack and the video conferencing company Zoom are expected to make their debut soon. Pinterest claims more than 250 million active monthly users and more than 2 billion monthly searches. The platform allows people to search for and "pin" images that interest them, whether it's fashion, sports, pets or travel. 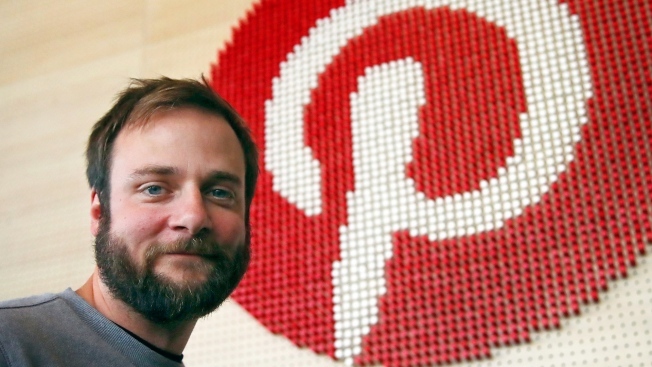 Pinterest has long shunned the label of being a social network. It doesn't push users to add friends or build connections. That means it's avoided the privacy tangles that have ensnared companies like Facebook. Pinterest makes advertising revenue when businesses promote pins in users' feeds. The San Francisco company had revenue of $756 million last year, a 60 percent bump from 2017. It had a loss of $63 million in 2018, compared with a loss of $130 million in 2017. Pinterest was founded in 2010 by Ben Silbermann and Evan Sharp, who are the company's CEO and chief product officer, respectively. Pinterest's stock will list on the New York Stock Exchange under the "PINS" ticker symbol.